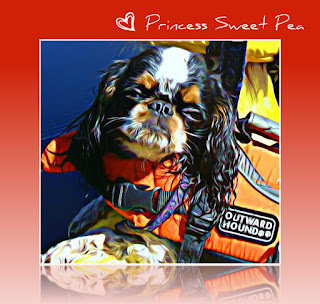 Sweet Pea was our little English Toy Spaniel who was absolutely fearless and always ready for adventure. She passed away, but she would have loved the nomadic life. The motorhome has a flat front just like her wee flat face and the second I saw the coach, I knew it would be called Sweet Pea. 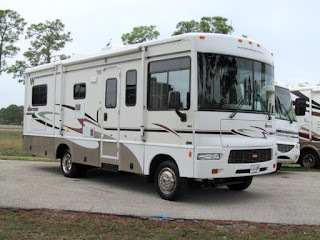 Here's a blog post about how Sweet Pea The RV came to be. Follow Cavalier King Charles Spaniel "Barkley" and Cavalier/Dachshund mix "Redford" as we enjoy adventures and mishaps by subscribing to our updates. We hope to entertain you in the months and years to come. My little English Toy Spaniel princess Sweet Pea. RIP sweetie. RIP my little adventure girl. I sure wish I could hear Barkley and Redford's version of the " Untrustworthy carnie Who dwells in a Mondain van". Maybe you should give them their own section in this blog to say what they feel. A dogs perspective of your adventures could be a great counterpoint. I am a friend of Carol Schurtz. I have been camping and some backpacking and gave in to by a pop up camper. Loved it but got tired of the canvas and set up so I bought a small 16.6 travel trailer for local camping. 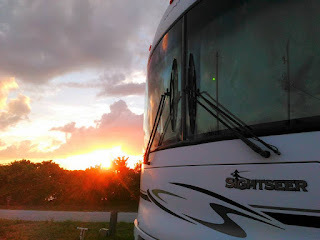 Now, it's time to start thinking about my great escape out of Miami and start traveling the country. My little trailer is probably too small, but possible. However, I'm looking at small Class Bs and Class Cs. I also want to do what you have done and do the work camp thing and also head out to seasonal stays in New Mexico and Arizona. Tell me how you started. I want to hear it all.